SEGA's been on a little bit of a roll lately as they scored a hit with Vanquish and Sonic 4, the upcoming Sonic Colors is looking good, and Captain America seems to be shaping up nicely for next Summer. Now, SEGA has announced that the follow up to The Conduit (smartly named the 'The Conduit 2') will be debuting with a Gamestop Exclusive Limited Edition when it hits retail shelves next year. · 44-page art book featuring a rich selection of concept art and design development insights into Conduit 2’s science fiction world, weapons, and enemies. · The “Eye of Ra” device is an enhanced in-game "All Seeing Eye" (A.S.E.) device that captures Conduit 2’s hidden secrets in twice the speed. · The "Gold Destroyer Armor" multiplayer skin based on the lead character’s primary armor. Conduit 2 will be released for the Nintendo Wii and will be available at GameStop stores nationwide in February 2011. 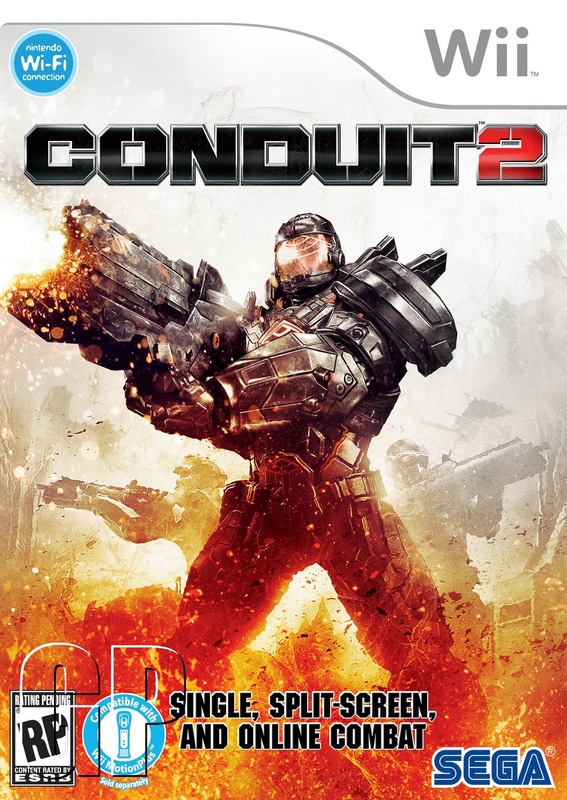 Personally, I didn't care all that much for The Conduit even though I really wanted to like it- the graphics weren't that great and the Wiimote just didn't have the solid feel that it should have had as the aiming device. With that in mind though, I'm optimistic about the sequel, it really looks like SEGA is putting a lot of work into it and the original idea still stands as a solid concept. If they can get a good game to surround it, they'll have a winner.